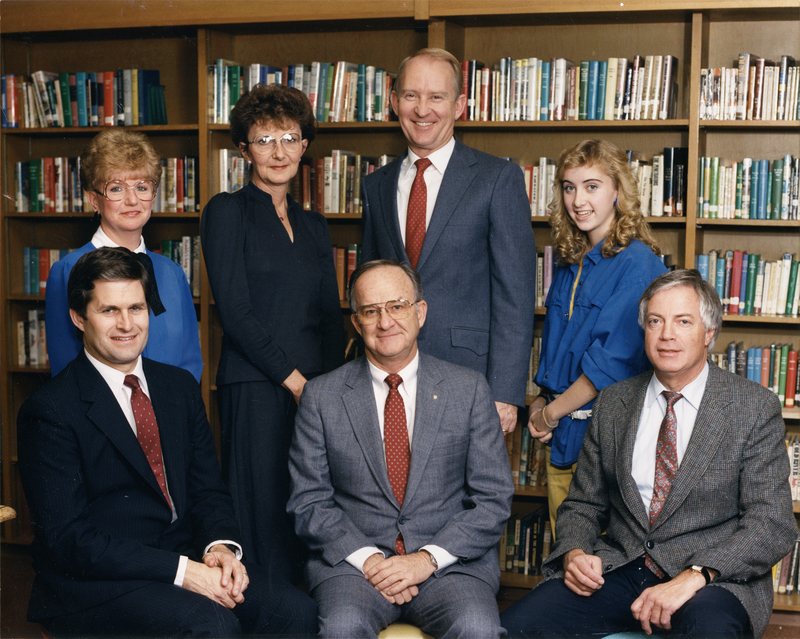 William S. Hart Union High School District Governing Board and Superintendent, 1986-87 school year (photo 1987). Top row, from left: Sandra L. Loberg, assistant clerk; Clara J. Stroup; Howard P. "Buck" McKeon; Kim McKeon, student board member. Bottom row, from left: Dennis V. King, clerk; Hamilton C. (Clyde) Smyth, superintendent; Gerald H. Heidt, president. HD8701: 9600 dpi jpeg from original photograph | Online image only | Archival scan on file.